Gabriela Viesca was born and raised in Mexico and has recently moved to Portland as the Women’s Pastor at Cedar Mill Bible Church. She holds a Bachelor of Arts in International Business (Universidad de las Américas) and a Master of Arts in Biblical Studies(Regent University). Gabriela's passion for culture and diversity began as a teenager while living among the Maori people in New Zealand. Today her research interests address the intersections between history, theology, and culture in Latin America. As a young Biblical Scholar, Gabriela has had the opportunity to speak at national academic conferences, including the American Academy of Religion and RIFREM (Mexico). She has taught Leadership Seminars in Israel, Canada, and Mexico, and holds the 2014 Regent University Outstanding Graduate Award, the J. Rodman Williams Award (for Renewal Theology), and Who’s Who Among Students in American Universities and Colleges. The Portland/Vancouver area has been home for most of Julie's life. She has been blessed to come from generations of faith, and at a young age she chose to follow Jesus. She attended Seattle Pacific University and graduated in 1979. She has been married to Randy Grove for 36 years and they have 4 grown children. They are committed to the local church not only as God’s instrument in their lives, but also to show love and care to their community. They believe the church must be faithful to His Word, bringing greater depth of understanding and relevance to our lives. They have also had many opportunities to serve alongside other leaders in various ministries; In addition to the New Wine Advisory Council, Julie currently serves on the board of Lake Retreat Camp and Adelphia Bible School. She also volunteers at her church’s free medical clinic and has various roles in supporting family and friends. She's always believed that following Jesus and His Word has the power to bring the greatest purpose and fulfillment in life, and she values the ministry of NWNW as it seeks to stay faithful to God’s Word while engaging difficult cultural issues. T. Randall Grove is a shareholder and chair of the trust and estate group at Landerholm, P.S., in Vancouver, Washington where he has practiced law since 1982. Randy is a member of the bar associations for Washington and Oregon; he is also a Fellow of the American College of Trust and Estate Counsel and is serving as a Regent for ACTEC. He has also served as ACTEC state chair for Washington and as chair of the ACTEC Business Planning Committee. Randy’s practice focuses on wealth preservation and transfer planning, as well as estate and trust administration. He also advises nonprofit organizations and serves on planned giving committees for several nonprofits in Vancouver. He is listed in The Best Lawyers in America for Trusts and Estates and in annual listings of Washington State Super Lawyers since 2005. He received his B.A. from Seattle Pacific University, his J.D. from Willamette University and his LL.M., in Taxation from New York University. Randy and his wife, Julie, live in Vancouver, Washington and they have 4 young adult children. Randy has been involved at New Heights Church for over 33 years in a variety of serving, leadership and teaching capacities. He is currently serving on the Board of the New Heights Clinic. Randy is also involved in small groups in various venues (including church, workplace, community and professional organizations) that help others grow in faith as followers of Jesus. Steve Hanamura is president of Hanamura Consulting, Inc., a firm he founded in 1986. Steve brings over 25 years experience to the consulting, training and speaking profession. He is widely sought after in the areas of leadership development, managing and leading diversity initiatives, building effective teams, working with people with disabilities and managing personal and organizational change. Hanamura Consulting serves businesses, non-profit organizations, government agencies, and academic institutions of all sizes throughout the country. Steve has authored two books, In Search of Vision and I Can See Clearly and has written many journal articles. He was recognized as one of forty diversity pioneers in the July/August 2007 edition of Profiles in Diversity Journal. Among Steve’s honors are the ASTD Multicultural Network Trainer of the Year award and his selection as one of the Torchbearers for the1996 Olympics. Steve received his master’s degree from the University of Oregon and his bachelor’s degree from Linfield College. Though blind, Steve enjoys running and is an avid sports fan. He and his wife, Becky, live in Beaverton, OR and have 3 grown sons. Encouraging followers of Jesus to enjoy the Father, build others in their faith, and engage in creative, culture-making ministries gets Tom out of bed every morning. For 34 years, He has been immersed in church ministry as a youth pastor, college pastor, associate pastor, and lead pastor in seven churches. He has also served as president of a regional association of churches. He teaches at retreats, conferences, and churches throughout the West and has coached varsity football and lacrosse. When not shepherding at Gateway Church or teaching at Multnomah Biblical Seminary, Tom can be found with his wife, Kathy, hiking in the Gorge, watching the waves at the Oregon Coast, or taking in a movie at one of the area theaters. He also enjoys a good plate of pasta, a round of golf and taking his granddaughter, Aubree Dawn, to the mail box. Born in the Midwest and raised in California, Jody arrived in Portland to attend the school formerly known as Multnomah School of the Bible in 1977. Three years later she graduated with her B.S. in Biblical Education and a deep love for the rainy Pacific Northwest. Her passion for education and commitment to being a life-long learner led her into the teaching profession. She earned a Master of Arts in Teaching from Lewis and Clark College and has been an educator for over thirty years. She currently works as a Teacher on Special Assignment in the Department of Equity and Partnerships in Portland Public Schools. Jody and her husband Alan have one young-adult son and attend Imago Dei Community, where they enjoy doing marriage mentoring and leading a Home Community in the Roseway neighborhood. They enjoy backpacking, playing tennis, watching movies, hosting dinners and starting conversations around their dining room table. Trudi Sang has a Masters in Education with a focus on Special Ed. from the University of Oregon, and a Masters of Theological Studies from Multnomah Biblical Seminary. She has served on the Board for numerous organizations including the Oregon Association for the Education of Young Children, Parent child Preschools of Oregon, and was the Chair for the Portland Oregon Convention Planners Network. She is married to James Sang with whom she has 4 children, and is currently a Pastor of Children and Families at Tigard Christian church, and a professional Clown and storyteller. In addition to serving on New Wine's Advisory Council, Trudi often helps New Wine with organizational details, and continues to support New Wine in any way that she can. After growing up in the Pacific Northwest, Will attended the University of Rochester (NY) and received his commission in the Marine Corps. God graciously pursued Will during his military service, and eventually opened his eyes to the beauties and wonders of Christ. Since that time, Will has been blessed with a variety of experiences and opportunities in business, academics, and informal ministry. Strategic thinking, relational leadership, and practical application of spiritual concepts represent core areas of his passion and service. During his first year at Multnomah, Will commuted from Seattle on a weekly basis, but two things were missing. He longed for holistic community in the educational experience on one hand, and practical application of lessons learned on the other. Stately plainly, the opportunities afforded through New Wine were pivotal in his decision to move to Portland. Today’s church runs the risk of loving what she knows more than the showing the love she knows. Will longs to be in the latter category, and the hands-on engagement at New Wine played a vital role in his preparation for ministry and life in vibrant community. Will graduates from Multnomah in May of this year, after which he and his wife, Stephanie, will relocate to Cle Elum Washington. Insil Kang is a US born, second generation Korean American currently in full time ministry at a multicultural and multilingual church, Village Baptist. Her work is to create community that negotiates the shared experience with one another, while always questioning who are we missing, what are we not considering? Insil graduated from Willamette University for her undergraduate degrees in English and Spanish, and completed graduate work in Intercultural Relations through the University of the Pacific. Her professional background has centered in higher education and non-profit. Insil lives in Portland, OR and decompresses and worships God’s goodness by exploring many of the city’s excellent restaurants and bars. CJ Young is the Director of Adult and Family Ministries and acting Associate Pastor (currently in the ordination process) at Adventure of Faith Church in Port Orchard, Washington. In his current position he coordinates teams for both local and global outreach, heads up various Christian education opportunities, facilitates leadership development in addition to regular pastoral duties (counseling, teaching, etc.). He grew up in a low-income, biracial family in the small town of Port Orchard, WA. After high school he was hired by Puget Sound Naval Shipyard and went through their apprenticeship program learning how to become a Nuclear Marine Electrician. 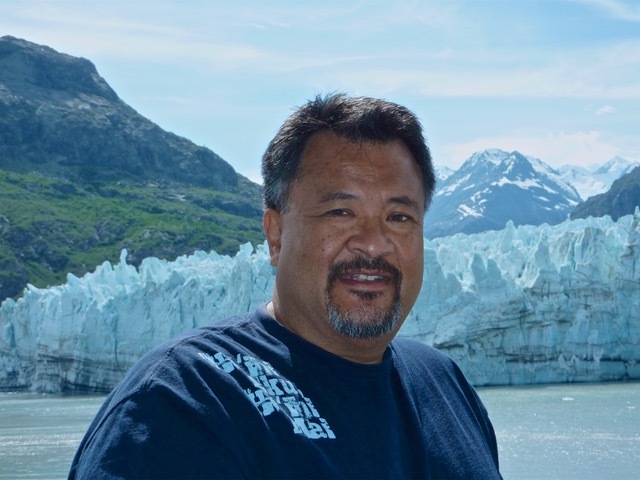 Upon graduating with his ATA he continued going to school nights and weekends and eventually he became the first person in his extended family to attend a University when he graduated from Pacific Lutheran University with a degree in education. He moved to San Jose, CA and taught at an inner-city school for several years before becoming an Instructional Coach and beginning to teach teachers how to better engage students. During his tenure at the school in San Jose CJ helped to coordinate and lead their transition into becoming a Two-Way Bilingual Immersion Academy that focused on the use of technology in their instruction. When his wife completed her doctoral program they felt called back to serve in the church where they first met as teenagers and returned to Port Orchard, Washington where CJbegan teaching in a Bremerton-area school where he helped coordinate and lead another school through transitioning to become a Science, Technology, Engineering and Math (S.T.E.M) school. During this time CJ began graduate school at Multnomah Biblical Seminary. He was going to school online and commuting to Portland several times a month to attend weekend and evening courses while working full-time as a teacher. The church he was serving at offered CJ a position at the church to do full-time what he had been doing as a volunteer for several years and CJ was able to be a commuter student (driving to Portland each week for two days) in order to finish his Masters in Divinity in 2015. CJ’s personal calling in life is to help people become the people God has called them to be and he lives that out in his current vocation by providing opportunities for discipleship, for conversations concerning cultural engagement, and education through Saturday Seminars, conferences and the like. CJ has spoken at retreats and seminars about various topics but his greatest joy is the day-to-day conversations with people who are seeing how God is working in their everyday lives. On any given day you’ll find CJ reading, writing, hiking, enjoying a great cup of coffee (or a really good IPA) or adventuring with his high-school sweetheart, Jennifer, and their three boys, Jack, Henry, and Calvin.